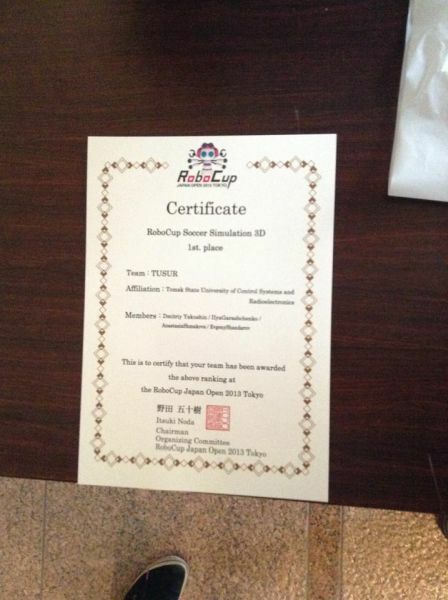 The student team of the Robotics and AI Laboratory of the TUSUR Institute for Innovation has finished first in the Simulation Soccer 3D League at Robocup Japan Open 2013. 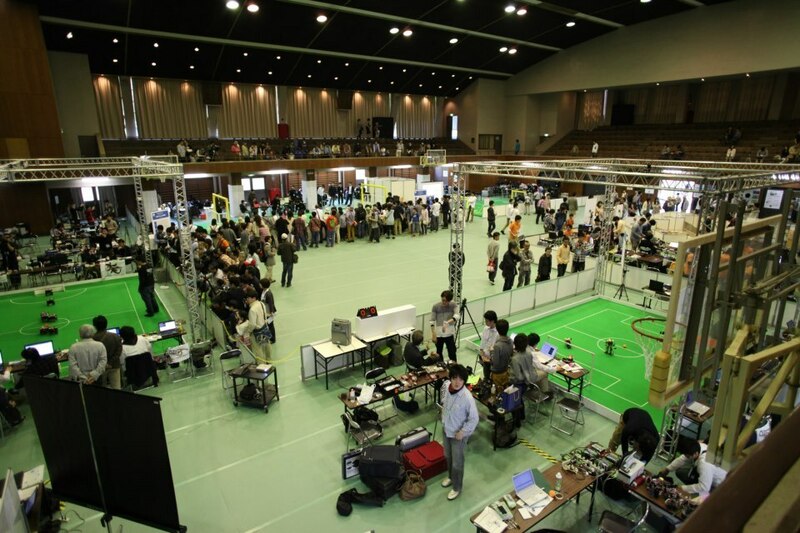 The annual robotics competition Robocup Japan Open 2013 was held on May 4—6 at the Tamagawa University. 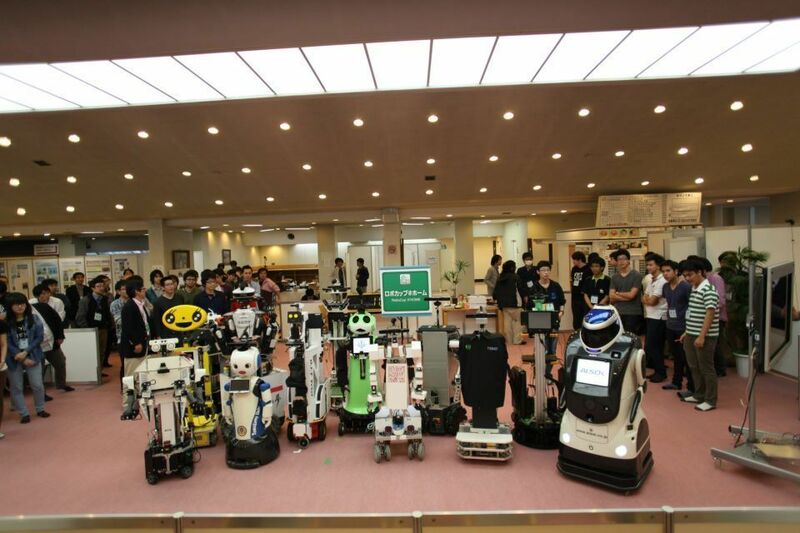 The competition is split up into several leagues and subleagues: Robocup Soccer, Robocup Rescue, Robocup@Home, Robocup Junior and Robocup Dance. This year, a Russian team has entered to competition for the first time: the Robotics Lab team of the TUSUR Institute for Innovation competed in the Simulation Soccer 3D League. 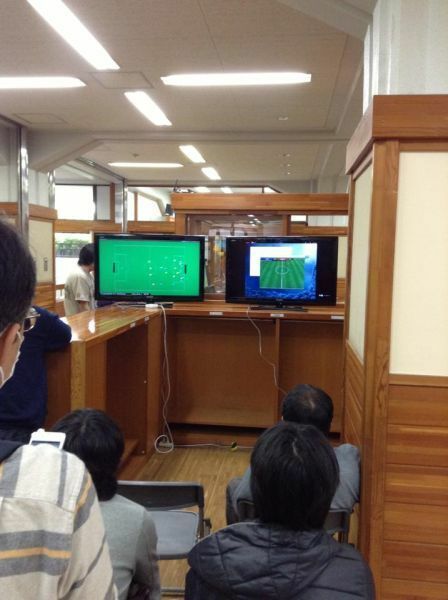 The first round of the competition was held as an all-play-all tournament, second – as a double-elimination tournament. The TUSUR team finished the first round as the absolute leader: 10 out of 10 matches won, 30 points under its belt. The runner-up, Socio3D, has finished the first round with 16 points. In the second round the TUSUR team has successfully qualified to the champions’ final, where it lost to FUT_K-3D, 0:1. Our team continued to play in the runners-up tournament, where it came out victorious. 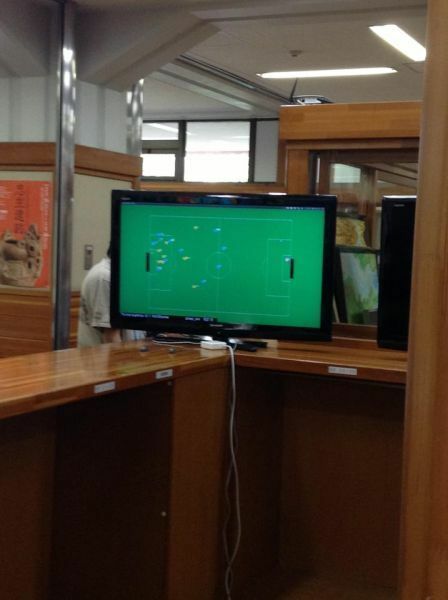 Thus the TUSUR team qualified to the super final and once again faced FUT_K-3D as its opponent. After an intense game, our team took the upper hand, winning 1-0, and making TUSUR the Simulation Soccer 3D League champion at Robocup Japan Open. 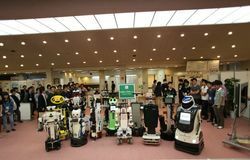 For TUSUR this victory opens the opportunity to compete in the global Robocup final which will be held in Eindhoven, the Netherlands, in late June. 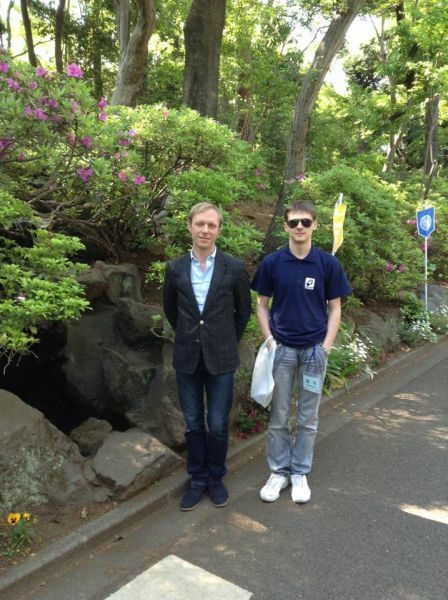 The student team was supported by TUSUR program for support of student organizations and the Institute for Innovation. Robocup Japan Open is one of the most important and respected robotics events in the world, bringing together teams from Taiwan, Iran, Malaysia, etc.